There are tons of reasons to use Google Forms 5 Awesome Reasons to Use Google Forms 5 Awesome Reasons to Use Google Forms If you've ever tried to make an online survey, you've probably tried a few tools here and there. You've no doubt enjoyed some features of one product, and some of another, while being frustrated at... Read More and other Google Drive software, many of them due to how easy it is to share and collaborate with others. 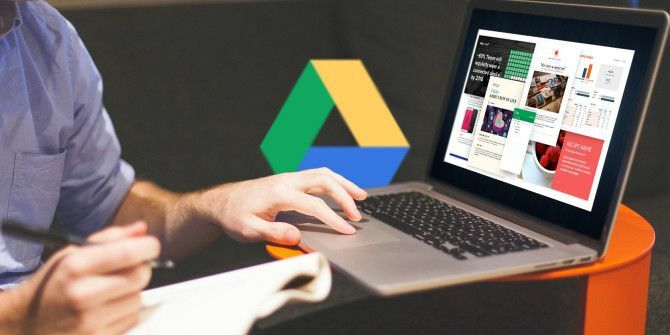 When sharing on Google Drive, you can choose to make the file public to anyone, share it only with certain email addresses, or make it available to anyone with the link. This link sharing option is popular because it doesn’t require you to micromanage everyone who has access — perfect for when you want an open response like when creating surveys That's What Everyone Says: 5 Free Tools For Effective Online Surveys That's What Everyone Says: 5 Free Tools For Effective Online Surveys For a while, you wouldn't have had much choice as to which survey service to use, but nowadays there are plenty to choose from. Which one is best for you? Read More . It’s easy enough to shoot the URL to the file to someone in an email or social media message, but what if you want to print your document out or give a presentation with the link? For those times, using a URL shortener is the best idea for making Google Drive files easier to share. Instead of 100+ character monstrosities that are ugly to look at and impossible to remember or type, using a URL shortener like TinyURL or goo.gl makes them much more manageable. Simply copy and paste the long link for the file you want to share and paste it into these services to get a digestible link — TinyURL even lets you customize it! If you do this all the time, take it a step further by using the goo.gl Chrome Extension. This lets you shorten a link on any webpage with one click, and even lets you make it into a QR code — perfect for presentations! There are lots of other URL shortener extensions if this one doesn’t do the trick for you. Like the idea of shortening URLs? Check out all the benefits of setting up your own URL shortener The Advantages of Setting Up Your Own URL Shortener and How to Do It The Advantages of Setting Up Your Own URL Shortener and How to Do It In a world of 140 characters, and short attention spans, you need to get as much text as possible in your Twitter status, if you are going to effectively get your message across. Read More . Do you shorten your Drive URLs, or do you have a better solution? Let us know if you found this useful in the comments! Explore more about: Google Drive, URL Shortener. ... but do you know, that there is a similar Extension for Firefox and that your "belove Chrome" is a russian and arabic phenomenon? NOBODY here in europe uses this browser. You can shorten URLs in any browser; this wasn't Chrome-specific.